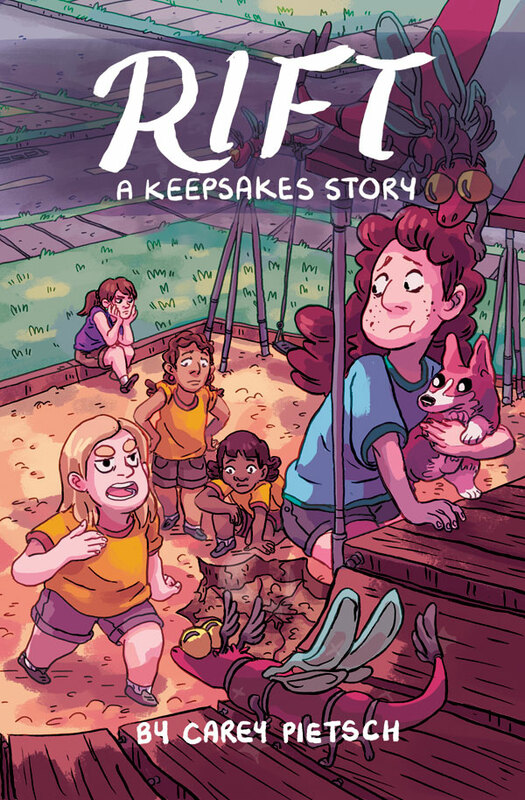 Rift (A Keepsakes Story), written and drawn by Carey Pietsch, was first printed in September 2014, and debuted at SPX 2014. RIFT is a story about sibling conflicts, fear, and hope, in a setting that’s just a little bit magical. Tess and Sam haven’t been getting along all summer, and now a camp-wide competition has tensions between them at an all-time high– with their friends caught right in the middle. Will an unexpected, accidental visitor from elsewhere be the final straw, or can all of them work together to get their strange companion safely home? This all-ages book is a companion to Keepsakes, set in the same location and following some of the same characters, but can also be enjoyed on its own. 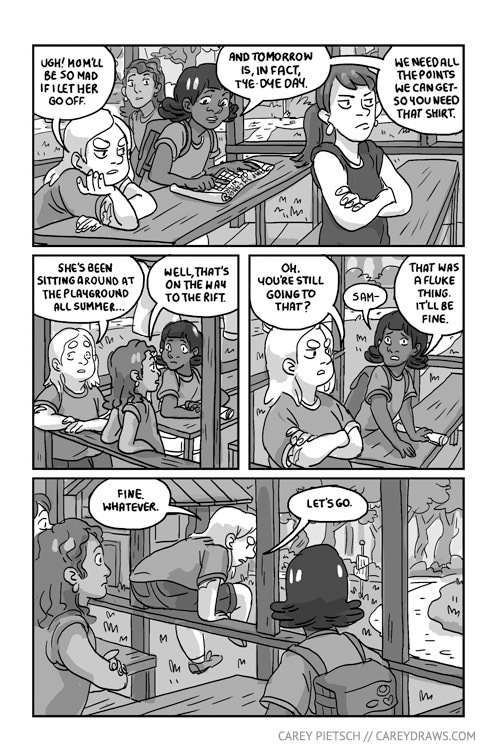 You can view the first few pages as a preview below, read a review on Comic Attack, or download a .pdf of the entire story on gumroad.